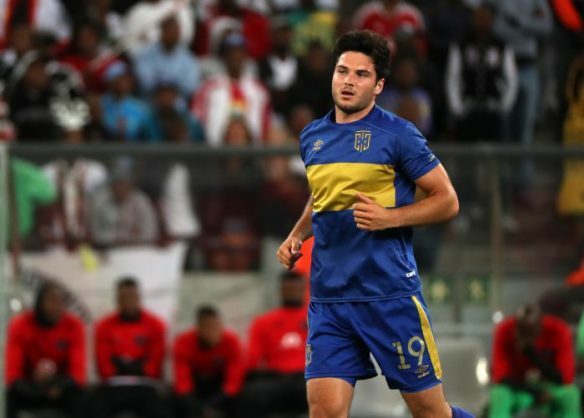 Cape Town City midfielder Roland Putsche has revealed why he decided to wear a cap while he was in bed in hospital. Putsche raised eyebrows when he posted a picture of himself wearing in hospital on his twitter account after his surgery. The 27-year-old suffered a meniscus tear in City’s Nedbank Cup last 16 tie against Highlands Park which needed surgery to be corrected. The Austrian is expected to be out of action for the rest of the season. When asked why he was wearing a cap while in a hospital bed, Putsche posted a picture of Arsenal star Hector Bellirin who recently went under the knife because of a knee injury. “Superstitious. Brings me luck,” read a tweet from Putsche.